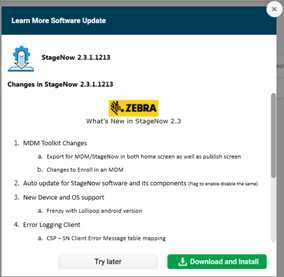 StageNow is Zebra's staging solution for Android devices. It allows simple profile creation and easy device deployment with a simple barcode scan, tag read or audio-file playback. The StageNow Workstation Tool offers a user interface that is accessed within a staging workstation (host computer). 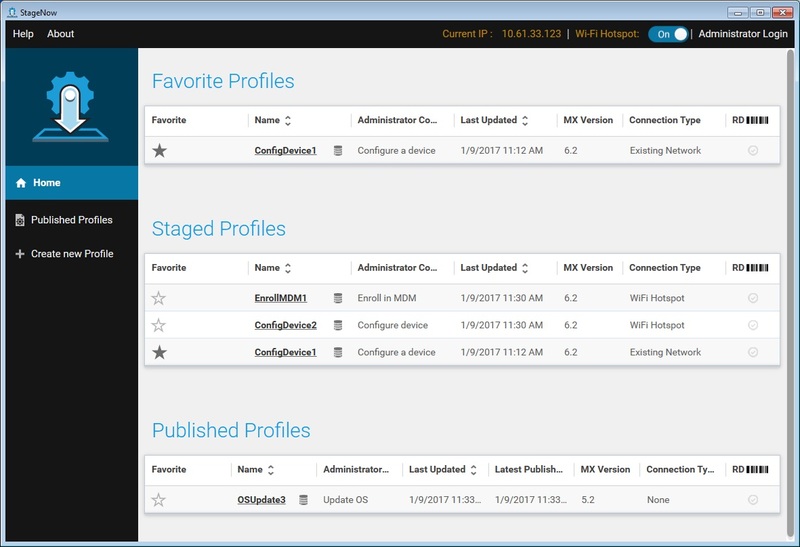 The staging administrator uses this tool to create staging profiles that configure device components in addition to other staging actions. 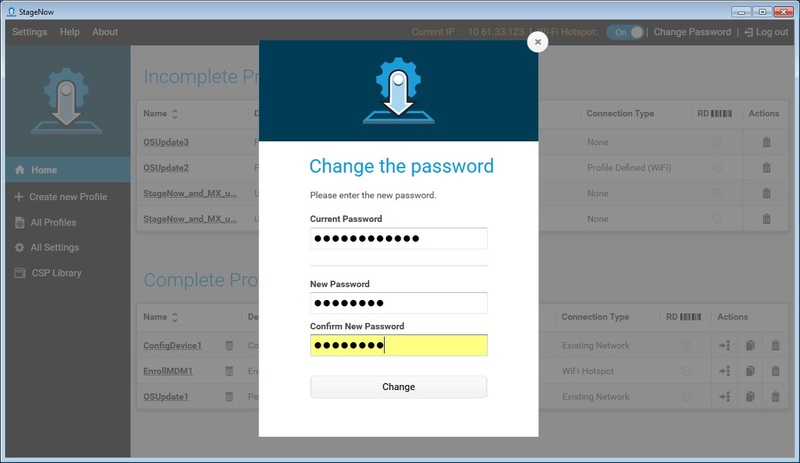 The Workstation Tool includes a database and server which store and save content entered in the tool such as settings and staging profiles. 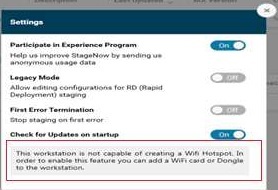 Note: The tool's built-in staging server is an FTP server to which devices download the staging content of the deployment section, files selected for download from the remote server, and RD staging files. 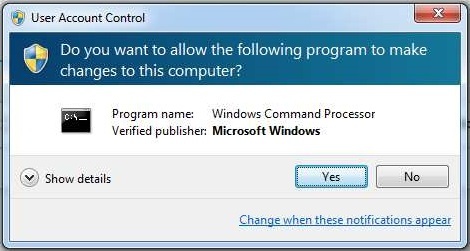 Because multiple applications cannot use Port #21 (usually used by FTP servers) at the same time, administrators must ensure the Workstation Tool PC does not have another FTP server running in the background (or that it uses a different port). The staging (FTP) server runs only when the tool is running, and stops when the application closes. Therefore StageNow must be running when staging the device with profiles as described above. 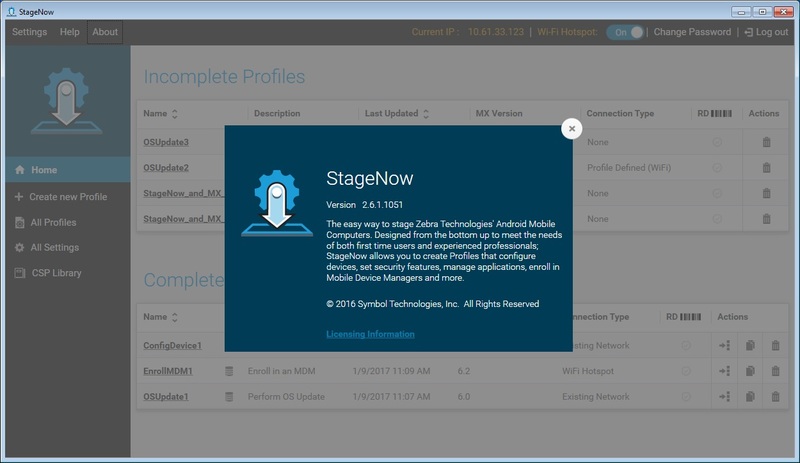 The StageNow Client resides on the device and provides a user interface for the staging operator to initiate staging. The operator uses a staging method (i.e. prints and scans a barcode, plays an audio file, or reads an NFC tag) to deliver staging data to the device. StageNow 3.3 supports all Zebra devices running Android 7.x Nougat and later. For more information, see the StageNow About page. Note: MX features supported on a given device depends on the versions of Android, MX and OSX installed on the device. To determine the features available on a specific device, see the MX Feature Matrix and follow the instructions there. Devices running Android version 5.x Lollipop and older that ship with the StageNow Client installed support all StageNow features. Devices with Jelly Bean and certain KitKat versions come with the Rapid Deployment (RD) Client. For staging, these devices can scan StageNow-generated RD bar codes, which cause the RD Client to connect to a network and then auto-install MX 5.0 for KitKat devices, MX 4.4 or lesser for Jelly Bean devices, and the StageNow Client on the device. The StageNow Client can then be used to scan StageNow profile barcodes for configuration. See Rapid Deployment (RD) Client for more information on this process. Once devices that did not include the StageNow Client are staged using the RD Client, they still might support only partial StageNow functionality due to limitations of the device OS. 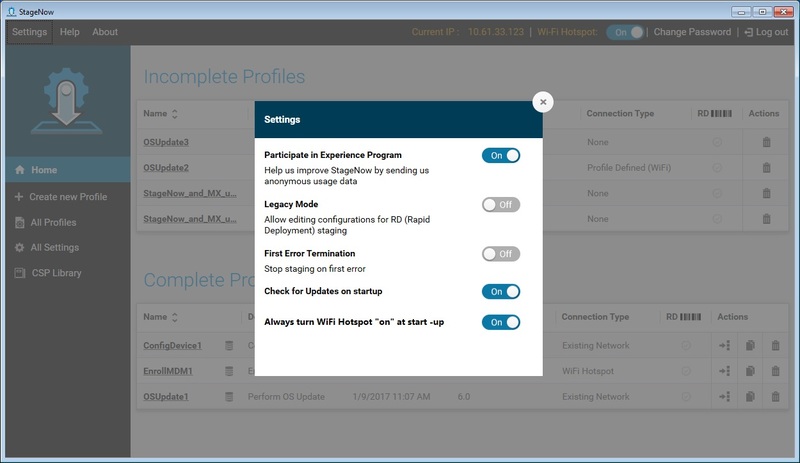 See the Feature Compatibility section of the specific Setting Type to determine if a particular device supports a given feature. 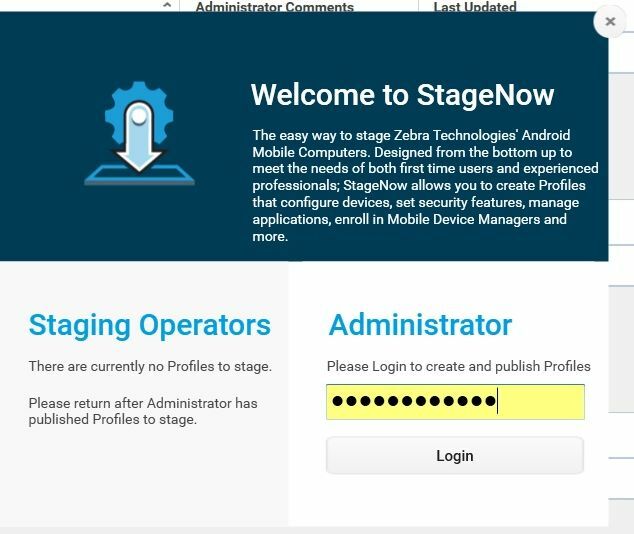 The staging administrator is the main user of the StageNow Workstation Tool and is responsible for the configuration, deployment, and management of systems and client devices. The administrator creates profiles which identify the staging to perform, collects the staging content (e.g., applications), determines the staging method used to deliver the content and uploads this material into the Workstation Tool. 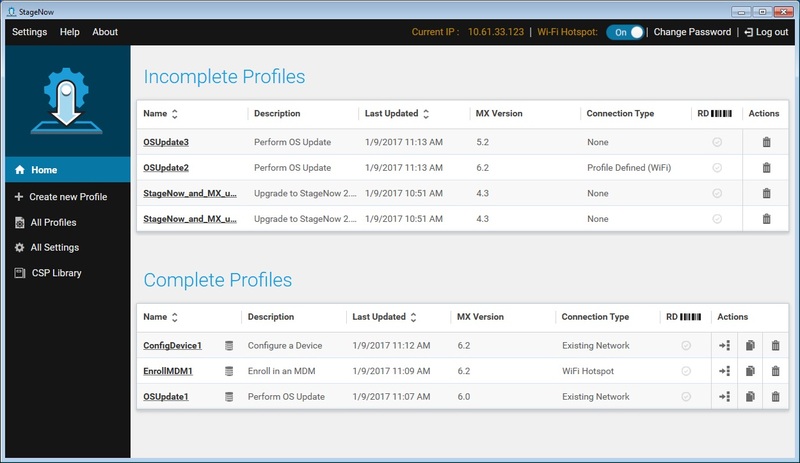 The staging operator identifies the devices to stage and uses the Workstation Tool to view and select the profile(s) that the administrator published. The operator then prints the staging materials (e.g. barcodes) to use to stage the devices, and uses the StageNow Client on the devices to perform the staging. The operator can then deliver the devices to the end users. Barcode - The operator generates barcode(s) containing profile information and scans those barcodes with the device, either printed on paper or displayed on the workstation screen, to configure that device. Connection Type - How StageNow connects to a network (MX 6.x and higher). RD - Indicates whether the profile is RD enabled, i.e., whether RD barcodes can be printed from this profile. If the StageNow system does not have an IP address, the Current IP section of the window displays Not Available. This can restrict printing StageNow barcodes or NFC tags. 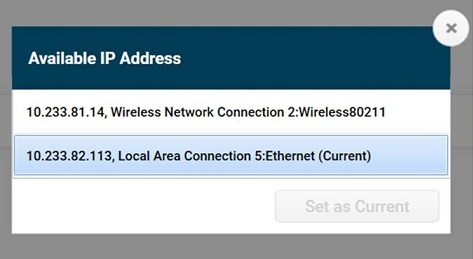 The StageNow tool allows a desktop computer equipped with a wireless network interface card to act as a Wi-Fi hotspot for staging devices. 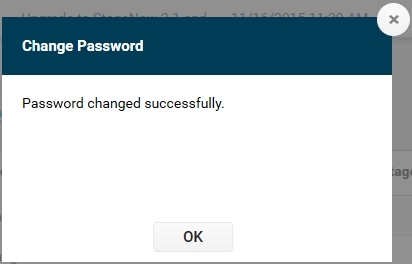 This allows staging without requiring an external Wi-Fi network and reduces the number barcodes to one with default security, or more than one with optional double security selected by the administrator. It also eliminates the need for reprinting the barcodes even if there is a profile change. Staging barcodes and NFC tags contain configuration data and are encrypted by default to protect against reading by unauthorized devices. Note that encryption can add a significant amount of information and require additional barcodes. Use extreme caution when turning off encryption in order to speed deployment, as sensitive parameters may be vulnerable to unauthorized access. The administrator selects the method(s) for deployment, e.g., the type of barcode and/or an NFC tag. The operator prints the staging barcode(s) or generates the NFC tag provided for the profile. The operator uses the StageNow Client on the device to scan the barcode or read the NFC tag, deploying the profile information to that device.